Welcome to the Dad’d edition. My two readers may note that there was a bit of a Dad focus last week but, there’s been a lot happening that I think is worth telling you about (you’ll need to read on to find out the big news). Ben Arnott from 3amdad.com had an article published at kidspot.com.au this week about his perspective on “having it all”. Ben talks about the decision to put his career on hold and look after his four kids while his wife returned to work. What strikes me about Ben’s article is not what’s different (a male being the main care giver) but what’s the same. Ben and his wife both work hard to support their family, making sacrifices in their relationship but all the while realising the need to keep communication lines open and be realistic about what having it all means. What I (and Ben) would love to know is for you, what exactly is “having it all”. Have you already got it or are you continuously striving? Is it a goal or a hope? If you haven’t already you can check out Ben’s work on his blog, or follow him on twitter or Facebook. I like to give this out occasionally. I award it to people who are honest, who write about something that has obviously caused them pain and yet still have the courage to put it out there for all to read. By doing so they unintentionally help many readers realise that their own secrets might not be so bad or that the pain they may have suffered is shared. Chubba from tacklenappy.com did just that with his brave post about his stillborn child. It was one of those posts that as a dad, as a parent, I couldn’t help reacting to. After reading it I gave all my ladies an extra squeeze and became that much more thankful for all I have. 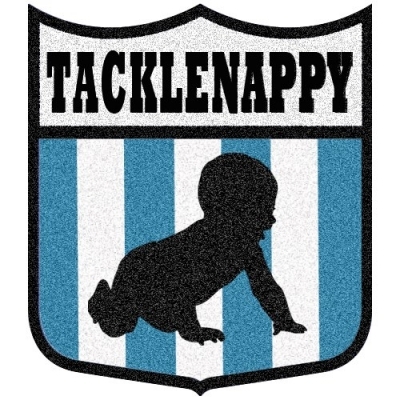 Well done Chubba and well done tacklenappy for showing the very real perspective of a Dad going through a really tough experience. There’s just so much to tell you all. Yes, another member of Australia’s Daddy blogging community will be featured on the Project’s special report on Daddy Bloggers. I was late to the BigFamilyLittleIncome.com party and I wanted to know why over 10,000 Facebook friends kept wanting to hear what Bruce had to say. Well, Bruce is funny. Whether he’s talking about his son’s ability to get his head stuck in the bars of his bed or his wife’s misadventures trying to go to the toilet in a bathroom with kids Bruce manages to find a hilarious angle. If you’re looking for a way of giving yourself a smile, check out Bruce’s handywork. You can also keep up with Bruce on Twitter. But wait… there’s even more!! If you’re still with me you are probably wondering where the Buff bit is (see title). Well for all of us not in Adelaide I need to let you know that big bad Reservoir Dad (RD) appeared on the telly today in a special about stay at home dads. Chances are that you already know RD’s work which means you also know he’s happy to share a lot about himself but, if you haven’t already, I’d recommend that you check out RD’s interviews with people series. Here he asks real people, real questions like how they deal with loneliness and motherhood or being a muslim in Australia. If you’re not already, you can follow RD on Facebook and Twitter. So, do you keep up with any of these guys? Do daddy bloggers give balance or are they just more of the same parental perspective? Who’s your favourite Daddy Blogger and do we need more or less of them? 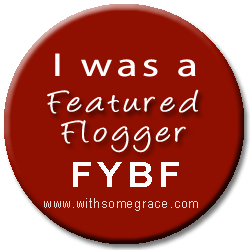 I’m sharing all this good news with Grace over at withsomegrace.com for flog your blog Friday. This entry was posted in Being a Dad, Caught my eye and tagged Adelaide, Australia, BigFamilyLittleIncome.com, Blog, Facebook, Twitter. Bookmark the permalink. Thanks man, that’s an awesome post. You know who my favourite Daddy blogger is Kev, you don’t even have to ask! I am going to set an alarm on my phone so I can set the Project to record when I get home (as no doubt I will be knee deep in leftover Tuna casserole that’s being flung all over the place and dealing with a little munchkin who’s tired and stroppy with me for leaving her at daycare all day!). Off to check out the links, and connect with other great parents. I love the extra perspective you give, helps me to get along a little better with my children’s dad. Do you think RD would mind if I borrowed that rather fetching image and photo shopped over his head with that of a certain ginger Irish actor of whom I happen to be a little bit fond. (Not that I have ever ever spoken about this on social media). But seriously – the rise of the Daddy blogger is something to be celebrated. Special cheers to Matt Ross of Dad Down Under – because he put me on his blog roll. Great…I will get onto Big Family Little Income. Haven’t heard of it. And I am excited to watch the rerun of the 7pm Project and see some of those daddies talk. There has been a lot about dad bloggers lately, and about time. Great to see more daddy bloggers joining the scene!!! Keep up the good work!!! Looking forward to the Daddy blogger specials.